Gelso is a sofa with a high and comfortable backrest that fits elegantly to the most diverse furnishing solutions thanks to the wide range of colors in which it can be made. The adjustable headrest allows us to adjust the comfort of the neck and is recommended for cervical problems. In addition to the fixed version, the Gelso sofa is also available in the motorized version with 1 electric seat ( GELSO-EL1 code) or with 2 electric seats ( GELSO-EL2 code). - Structure: wood covered with a layer of polyurethane and metal mechanics. - Padding: Eco-friendly polyurethane foam in different densities covered with a layer of dacron. - Cover: leather, eco-leather and stain-resistant fabric. - Savoy stain-resistant fabric ; Savoy is a fabric of modern design, pleasant to the touch and very resistant to wear and abrasion. The main feature of this fabric is its total impermeability to water: it is in fact gatantito as "water repellent". 89% Polyester, 8% Polyamide, 2% Cotton, 1% Viscose. - Ritz anti-stain fabric ; Ritz is a pleasant fabric to the touch, selected as a covering for these seats thanks to its characteristic resistance to wear. It is an anti-stain fabric composed of 86% Polyester, 14% Polyamide. Weight / thickness 490 gr / mtl. - Faux Leather America ; America is an ecological leather made of 100% PU. It has a weight of 460 gr / mtl and is available in a wide range of colors. 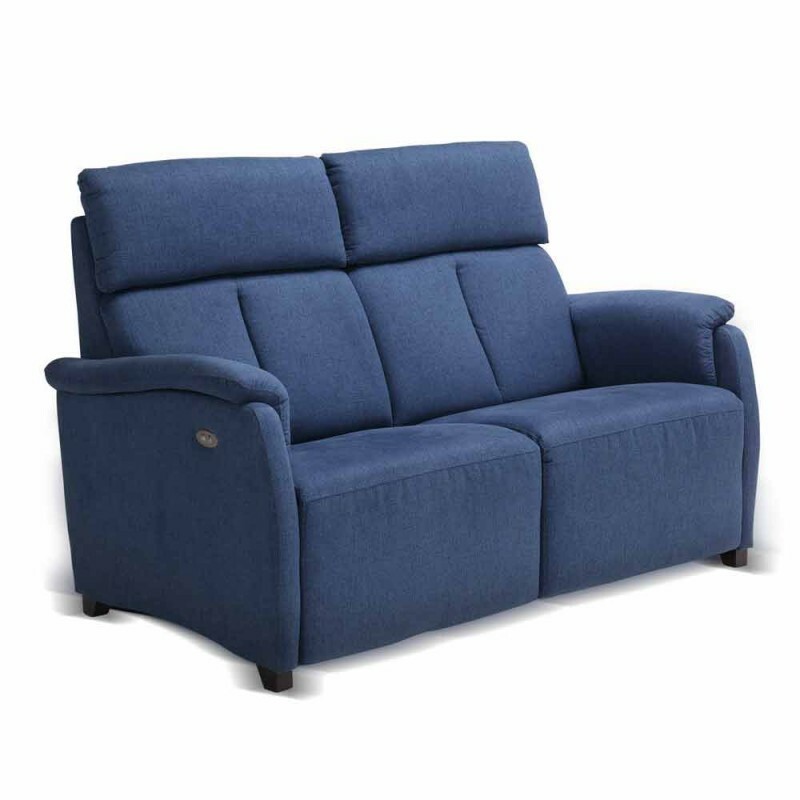 Softness and elasticity are the characteristics that distinguish this covering and make it perfect for the most refined and elaborate models of relaxation seats. 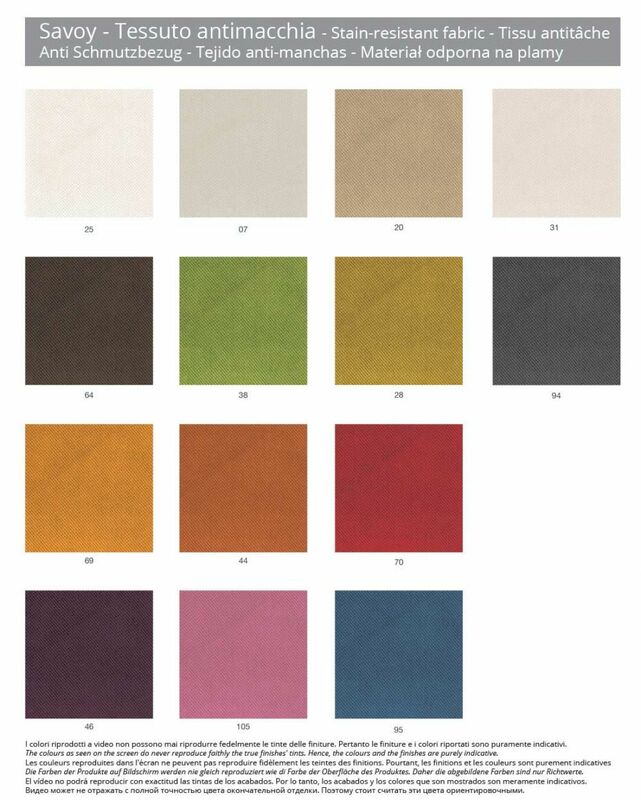 - Luxor eco - leather ; Luxor is an ecological leather made of 100% PU. 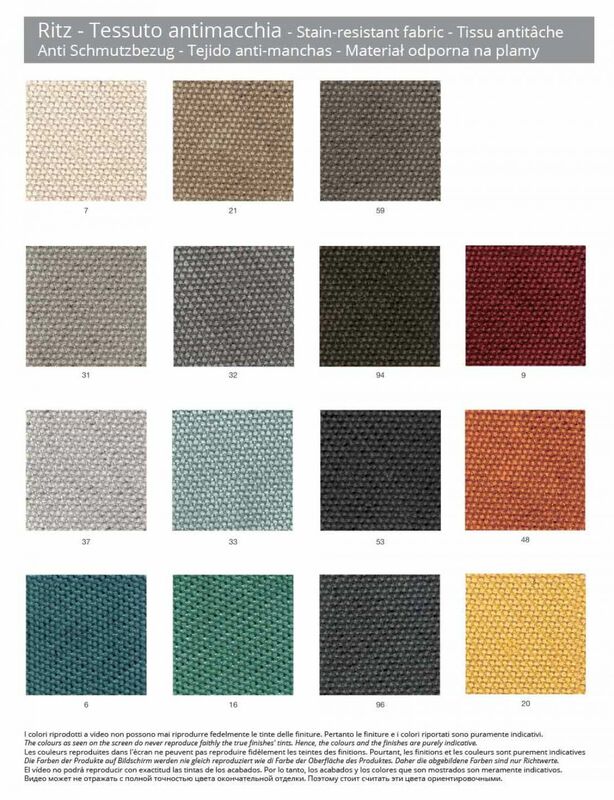 Soft to the touch, has a weight of 460 gr / sqm and is offered in a wide range of colors. Mrobidity and elasticity are the characteristics that distinguish this type of coating and make it suitable for particular and elaborate models. 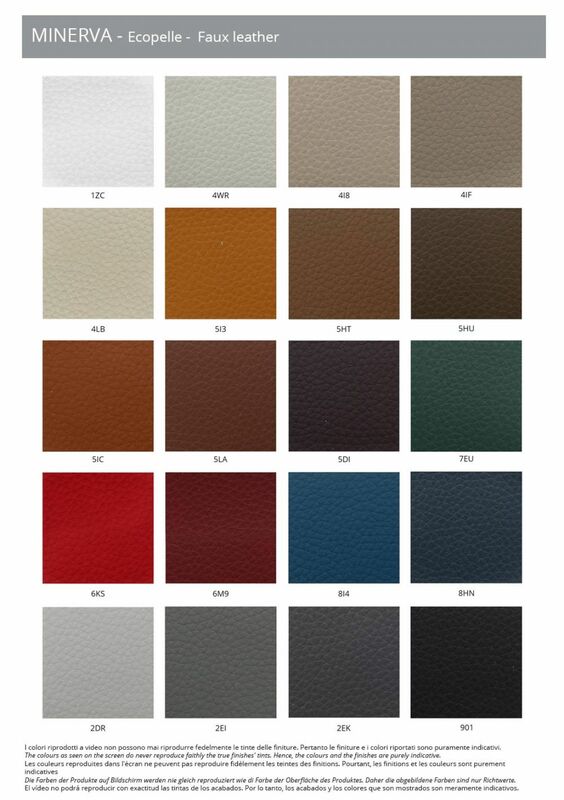 3) Category Leather : precious genuine Morgan leather, 100% leather. HOW TO SELECT THE COVERING : select from the appropriate drop-down menu the category to which the desired covering belongs. Then, display the color chart for your selection and indicate in the appropriate box, next to the product photo, the code of the desired color. 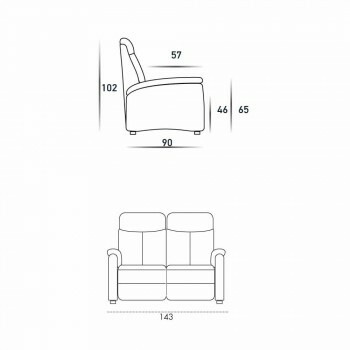 This article is made by an Italian company specialized in the production of easy chairs, massage chairs and alzapersona, relaxing sofas and motorized sofa, designed to ensure psycho-physical well-being and quality with a perfect blend c ompetenze technology, craftsmanship and sense for design and modern forms. By choosing a product of this company, you are guaranteed not only to buy a 100% Italian and guaranteed product , but also a technical and functional system that integrates and expands thanks to a range of mechanical solutions, optional accessories, a wide choice of models and dimensions with a wide range of fabrics and coatings. 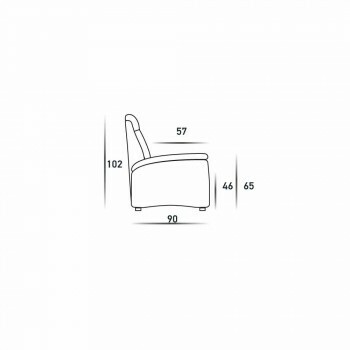 In fact, different customizations are possible, to obtain real custom-made armchairs designed and produced taking into account every need and requirement. Expert technicians, who continuously update and innovate their skills, and skilled artisans , profound connoisseurs of materials and processing techniques, ensure that the products are manufactured with the utmost care and are technologically advanced. 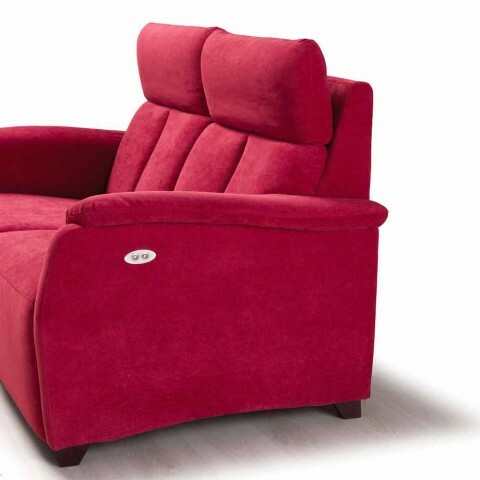 Staff specialized in the upholstered furniture sector, able to design and assemble chairs, and technicians who have specific skills in the design of sophisticated mechanisms that allow the production of relaxation chairs, massage chairs and armchairs. 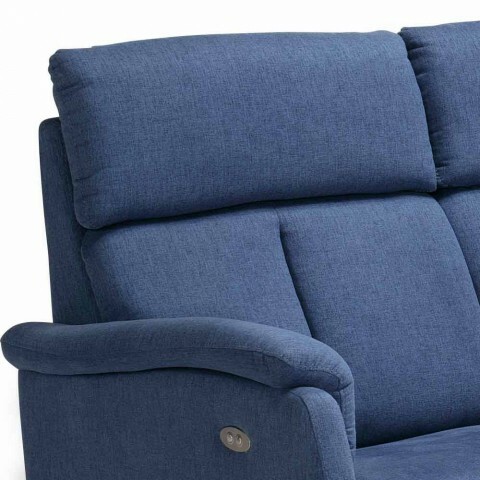 The long experience and the attention to modern design guarantees the uniqueness and versatility of the seats that make them furnishing elements capable of integrating into different domestic environments. 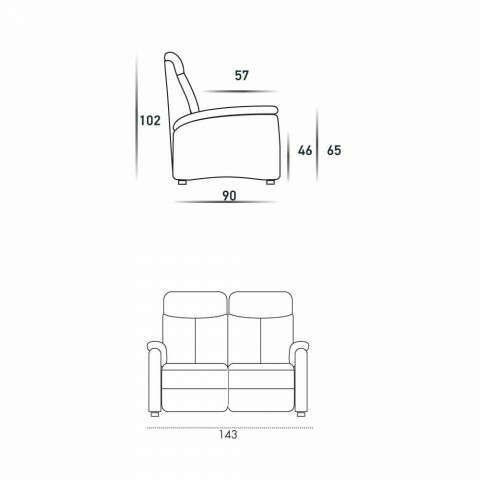 The mechanisms developed offer multiple functions and the possibility of being positioned in specific seating areas and allow the assembly of relaxing armchairs / sofas, massage chairs and lift-up armchairs that have options suitable to meet the needs of each client. Mechanisms to one or two engines, the movement of footboard and back alternately autonomous or independent, lift function, alzapersona device that allows to easily assume the upright position, vibromassage for a pleasant distributed effect on the back, seat and footboard, automatic or motorized movement, are these are the possibilities and the combinations developed: a harmonious set of solutions to satisfy every need.